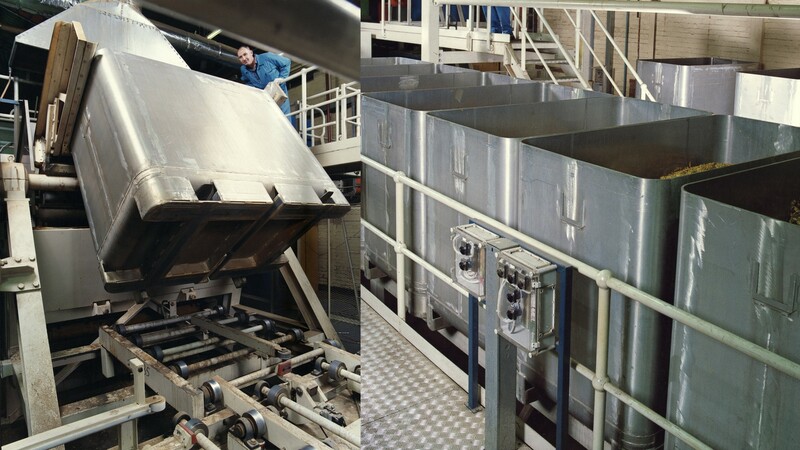 Lewis Australia built Bin Conveyor and Bin Unloading System which conveys large bins of bulk material through several production processes before marshalling and selectively unloading it into feeder hoppers. 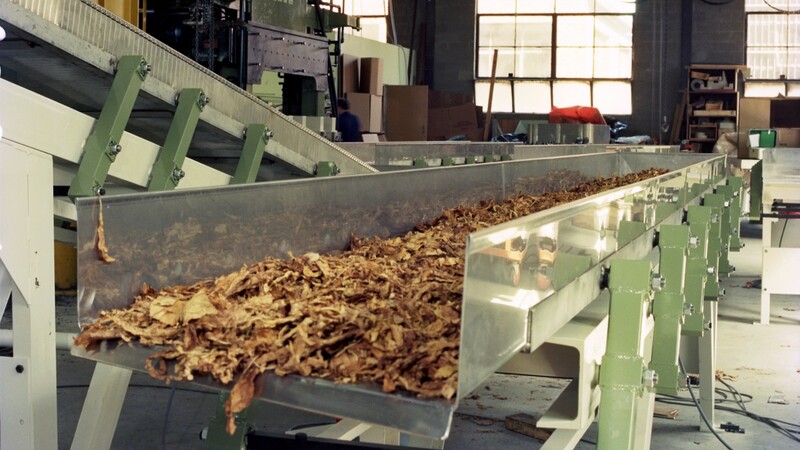 Lewis Australia has built several vibratory conveyors of various types for feeding tobacco leaf. 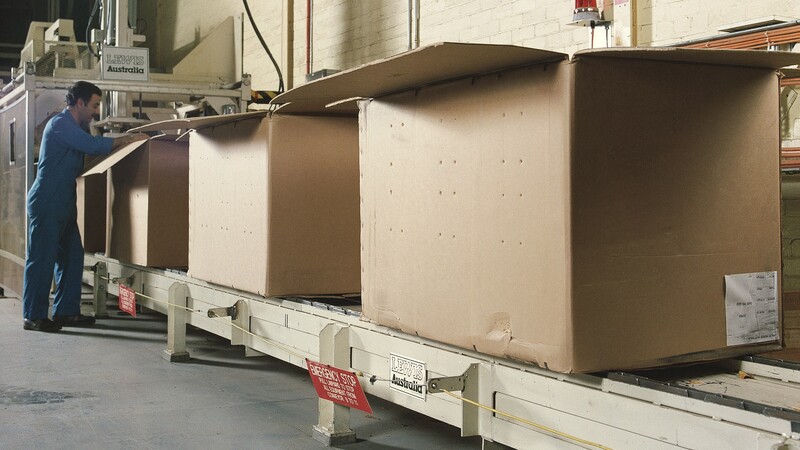 These are manufactured under licence by Lewis Australia to Wilhelm Quester GmbH design. 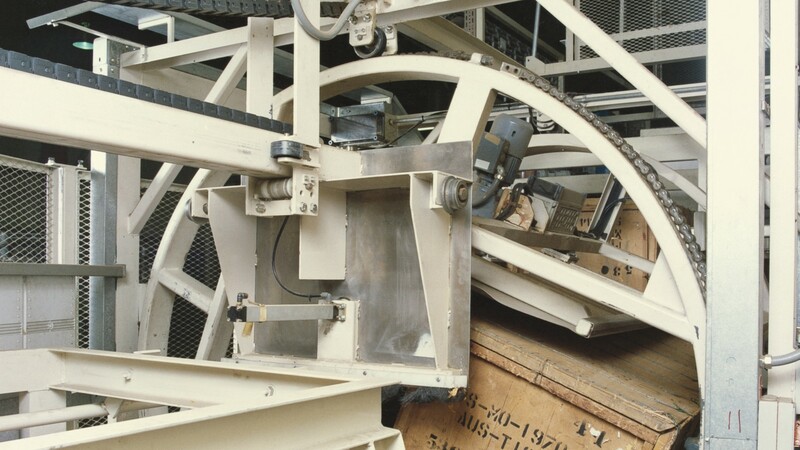 This Chain Conveyor was built and installed for conveying cardboard boxed tobacco.